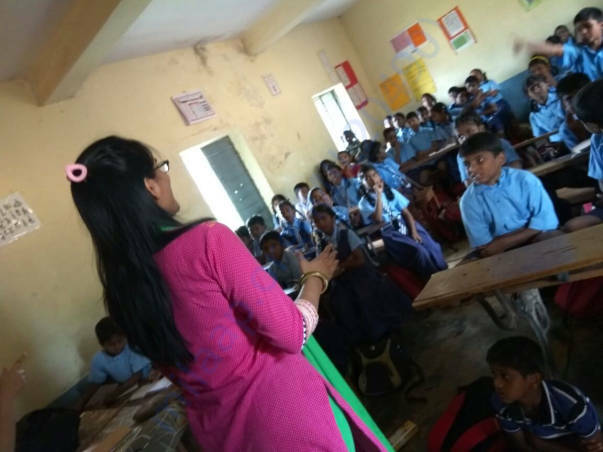 We are Nithasha, Pranav, Roshni and Pragati from Teach for India who teach 150 little dreamers in a low-income government school - KSGMPS Immadihalli. We are “Miiiiss” and "Saaar" to 150 curious 5th graders and 6th graders. 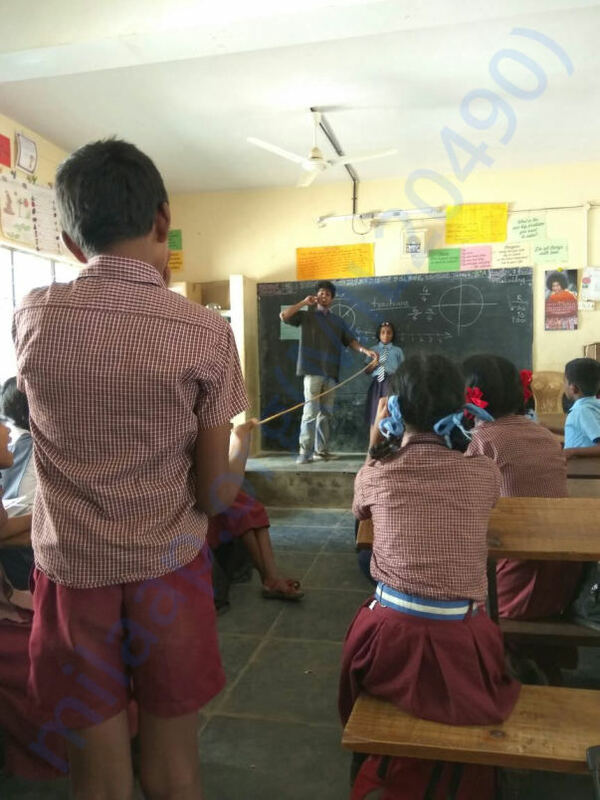 Our school KSGMPS Immadihalli, Bangalore is in the part of the city dominated by low income families who struggle a lot in getting their basic needs met. The occupation of most families is home based business (vegetable/fruit sellers, bike repair shops, maids etc.). Some of them have single working parents, who have to support a family of more than four. Like you, every kid in our class also has a dream. The most encouraging part is they are aware of their situations but they never doubt what they can achieve. Their spirits soar as high as the sky and this encourages us to provide them with the best of the best. This way we are just initiators and guides, but with your help our dreamers will become achievers. Below are the opportunities (with their approximate cost) that can be provided to our kids with this money. Why do our kids need these things? 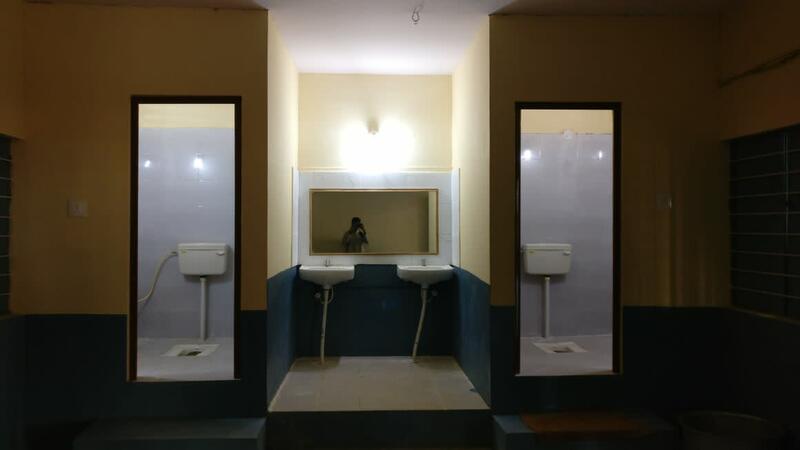 The current restroom facility is in dire need of revamp and restoration, and consists of one girls’ and one boys’ washroom, two working cubicles each, being shared by 600-odd students studying in the school. Precious class time is wasted by the students standing in line, waiting to use the washroom. 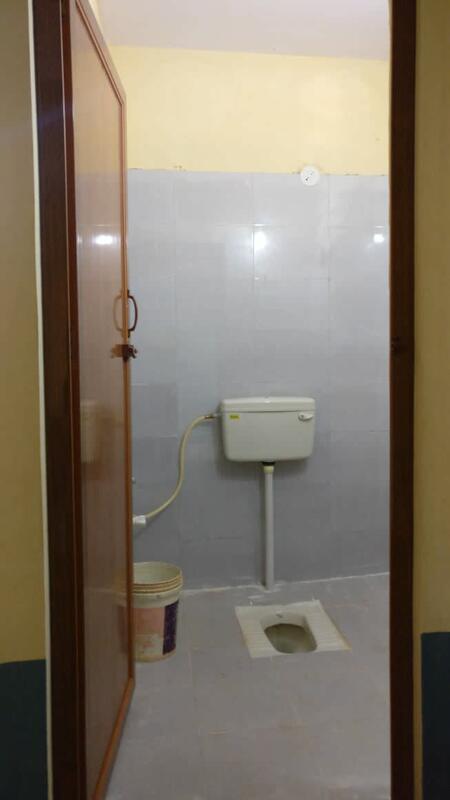 One staff toilet ‘exists’, for lack of a better term, as one wall of the restroom leans in a little more every time it rains, waiting to reach the threshold angle to fall. The staff have a very tough time, sometimes waiting the entire day without using the washroom. 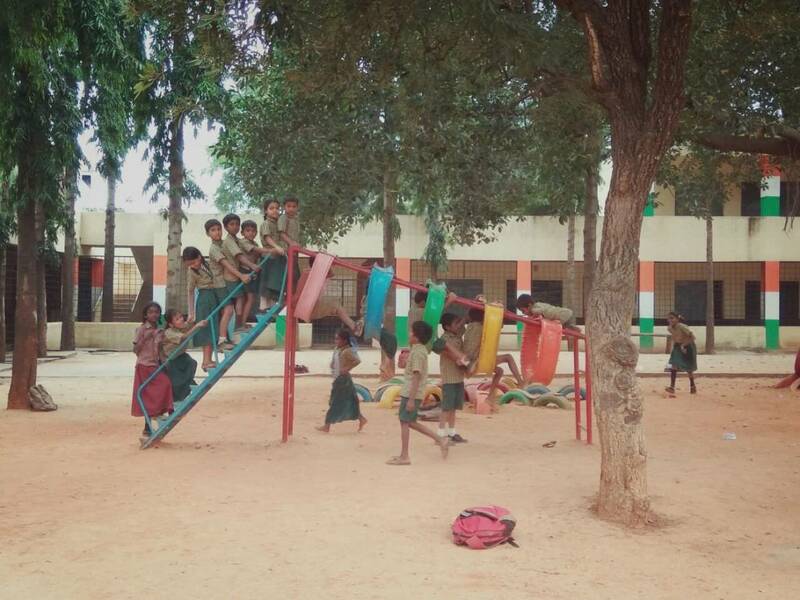 We believe that some of the best childhood memories are made on the swing, going higher and higher to see the world from the top; on the slide, learning the first lessons on almost-free-fall; on the see-saw, to be used years later as examples for fulcrum and balance in physics. The importance of a playground for kids can never be over-stated. And yet, what the students of our school have is a broken slide in the middle of the garbage dump. Every single slide a kid takes down it (which they do despite warnings, being kids) is a huge chance, a risk as the precariously hanging slide counts its numbered days. Childhood of teeny-tiny toddlers deserves better, does it not? 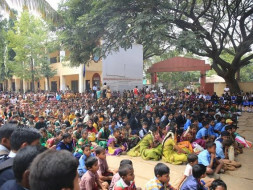 Most of the windows of the classes open outside the boundaries of the school, because of which the school does not have any control over the environment outside the windows. During rainy season, all kinds of insects find their way in, putting innocent students in danger of catching a host of diseases. There have even been reports of snakes coming inside classrooms through the windows. We believe that a safe environment is the bare minimum that a kid deserves from school. I still remember the chemistry class where we were taught about ionic bonds and how difficult it was for us to comprehend the transfer of electrons. But thanks to smart classes, my juniors never again complained of boring or impractical chemistry sessions. 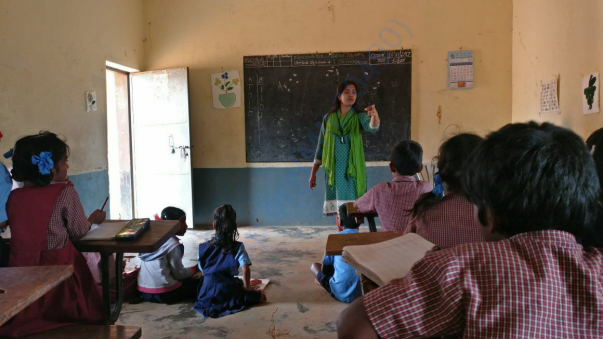 While on one hand we speak highly of initiatives like Digital India, on the other hand inability to access technology inside our classrooms makes it difficult for us to cater to the needs of visual learners. We believe that although every child comes with a different learning style, every child has the power to learn. A projector/TV could go a long way in assisting those children who believe that, 'seeing is believing'. We often tend to forget the value of a good deed. We have tried taking the first step and do not claim to be change makers; but yes we claim to be one amongst those who face the problems head on and try to find a concrete solution to them. We claim to bring happiness to these kids. And all this would be possible if you help this cause. PS: We are open to donations in other forms like laptops, printer, computers (old but in working condition), cupboards, storybooks (English/Kannada) etc. 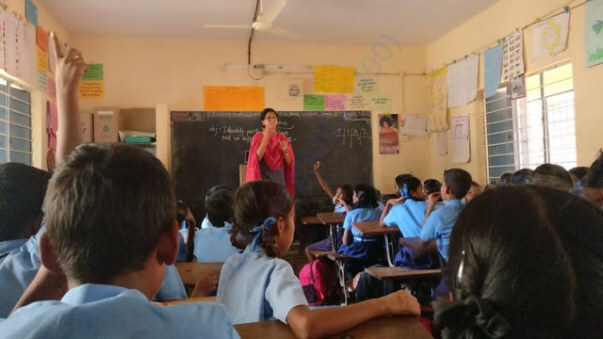 P.P.S if you require an 80G tax exemption certificate, please email us your details and the amount that you have donated to pranav.2017@teachforindia.org. We will also send you a personalized thank you note for your contribution. We are withdrawing the last bit of funds to buy shoes for our Football teams who have won the regional finals and are on their way to Mumbai for the national finals. 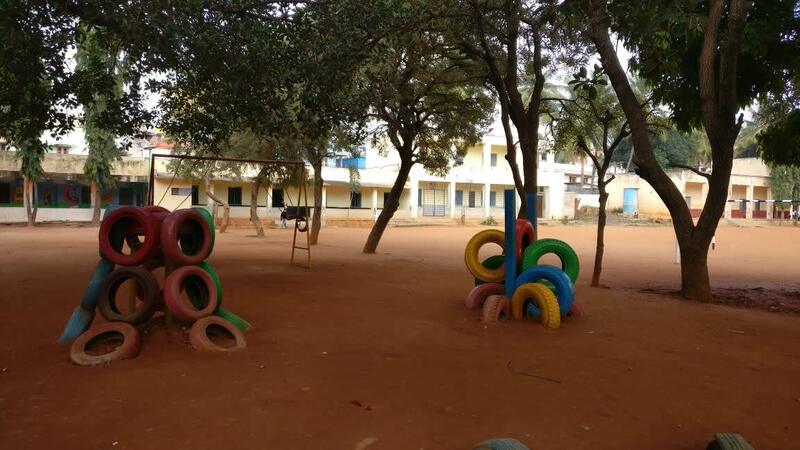 We have begun and finished the construction of a playground as well in the school. 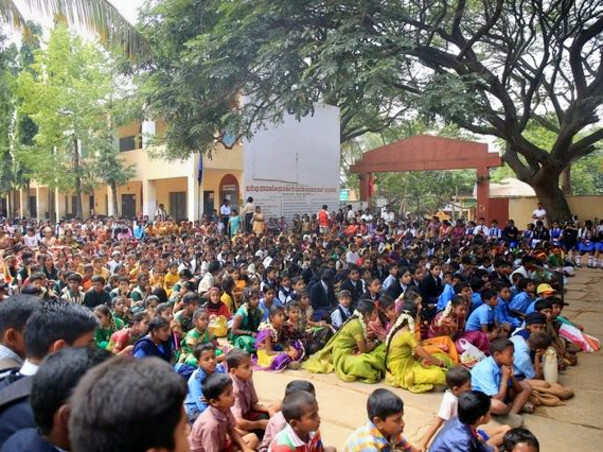 The amount raised has been completely utilized for the construction of the washroom and the playground. We are withdrawing the amount to start working on the toilets for the school. We would like to thank everyone for your generous contribution, as you can see that the estimate is for a large amount, we would urge you to kindly share the campaign with other like minded donors as we can continue with the building of the washroom without hiccups. I wish all the best and hope more contributions from more people.